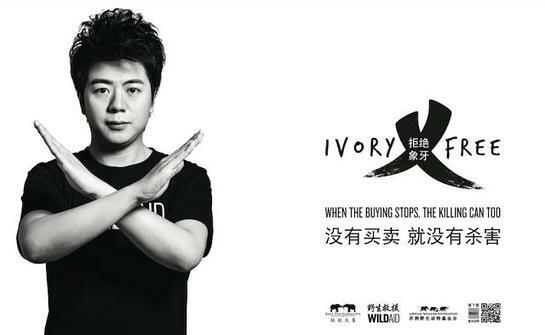 Last week, Lang Lang appeared with Beijing Airport Customs officials sponsored by WildAid and the Wildlife Conservation Society to launch an awareness campaign at Beijing Capital International Airport, urging travelers never to bring ivory back into China, which in March implemented a one-year ban on ivory carving imports. At the Thursday event, customs officials announced that they had confiscated over 1 ton of ivory products in 258 smuggling cases over the past year. Most of seized ivory had been smuggled in from African nations including Burundi, Côte d’Ivoire, Angola and South Africa. 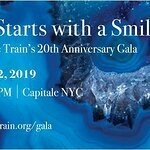 The new PSA featuring Lang Lang’s performance of Beethoven’s Sonata “Appasionata” will be distributed via WildAid’s Chinese media partners, who donate nearly $200 million (USD) in annual pro bono media placement. Produced in English and Mandarin versions, the PSA also features the work of award-winning photographer Nick Brandt, founder of Big Life Foundation and a frequent contributor to WildAid media campaigns. “We’re seeing growing effort and resolve in the part of the Chinese government on this issue. A total ban on ivory sales would be the next logical step for China’s stepped-up efforts, and would be the greatest single measure to reduce poaching in Africa,” said WildAid CEO Peter Knights. 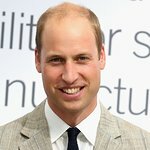 Lang Lang joins WildAid ambassadors including Yao Ming, The Duke of Cambridge, David Beckham and Chinese actress Li Bingbing on educating the public about the ivory trade.